Foseco is an acronym for “FOundry SErvice COmpany” and was founded in 1932 by Eric Weiss. The company owns metal casting manufacturing plants in Germany, England, Brazil, China, India, South Korea, Japan and the United States. In April 2008, Foseco was acquired by Cookson Group plc and is now part of Vesuvius. Vesuvius acquired Foseco to head up its foundry business quadrant. Foseco’s primary business is manufacturing products and providing services and support to the foundry industry. Its products are used in foundry melting shops, core shops and the molding line and pouring stages. 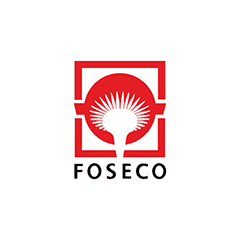 Foseco’s parent company develops products and solutions in the molten metal, glass and renewal energy industries. Since acquiring Foseco, Vesuvius has 10,000 employees and 70 plants in 40 countries. Foseco is among a number of companies involved in asbestos litigation as a defendant. The company ignored warnings about asbestos health hazards and chose not to inform workers of the lung cancer and mesothelioma risks inherent with exposure to asbestos. A 1964 letter received by Foseco’s purchasing agent from North American Asbestos Corporation’s scientific advisor stated that asbestos increased the risk of lung cancer. Still, Foseco continued to use millions of pounds of asbestos. By 1972, other steel mills in Pennsylvania expressed concerns about Foseco asbestos products. Armco Steel, Bethlehem Steel and Republic Steel were three of Foseco’s largest customers, and all expressed concern about the exposure levels. Foseco responded by misinforming customers that the asbestos in their products did not rise to a hazardous level. Under threat of losing customers and their insurers, Foseco finally agreed to stop using asbestos in 1976. In 2015, a British Medical Journal publication reported rates of asbestos-related deaths in Belgium between 2001 and 2009. The research showed the consequences of using asbestos products: According to the data, former metal-production workers are almost three times more likely to die of mesothelioma than the general population. Two of Foseco’s subsidiaries — Foseco Canada, Ltd., and Foseco Minsep, Inc. — were listed among two dozen of asbestos fiber customers of the North American Asbestos Corporation from 1975, and Foseco was named in more than 5,000 asbestos-related lawsuits suits in Ohio’s Cuyahoga County Common Pleas Court. The Cleveland plant installed vacuums to collect the dust from asbestos products only after violating health guidelines for air quality passed by Congress in 1970. Most claimants in the lawsuits against Foseco came from former employees and their surviving family members. Eight former employees have died from mesothelioma, asbestosis or asbestos-related lung cancer. Foseco has paid more than $13 million in settlements to survivors. Exposed to Asbestos at Foseco? Foseco used 18 million pounds of asbestos between 1961 and 1976 at its Cleveland plant. The asbestos arrived in 120-pound burlap sacks from South Africa. The bags were emptied into stirring machines that mixed asbestos, water, silica flour, resins and old newspapers. The slurry was used as a coating material for casting cores. Cores are used to create hollow castings such as those found inside an engine block. A patent filed by Foseco in 1968 details the composition for exothermic hot tops. These hot tops are used to line the inner surface of molds metal casting. This dangerous mixture is made up of 4.9 percent amosite and 4.2 percent chrysotile asbestos and is far above the EPA’s 1 percent total asbestos limit. Foundry workers involved in the production of these hot tops were often exposed to asbestos fibers. Foseco produces furnace brick linings, flow control products, crucibles used to melt and transfer molten metals and temperature measurement systems. All of these products require heat resistance, which is why asbestos is a desirable ingredient in manufacturing products of this nature. Foundry workers pour molten metal into a mold to make a casting. Not only was asbestos mixed in stirring machines, foundry workers often wore protective clothing made of asbestos because of its heat and fire resistance. Boilers and other equipment may also be insulated with asbestos. Because Foseco also produced furnace brick linings, homeowners with furnaces and workers who maintain them are also at risk. Unlike many other companies that are forced to defend asbestos lawsuits, FOSECO never declared bankruptcy and does not have a trust fund to take care of asbestos-related liabilities.